If I gave my kids the choice they would eat cereal most days of the week. I have an issue with it because most cereals are laden with refined sugars and chemicals and also don’t provide a balanced breakfast. Breakfast sets the tone for the day and a meal that contains protein, fiber, healthy fats and complex carbohydrates in the right quantity will allow your blood sugar to remain balanced preventing cravings and energy crashes later in the day. 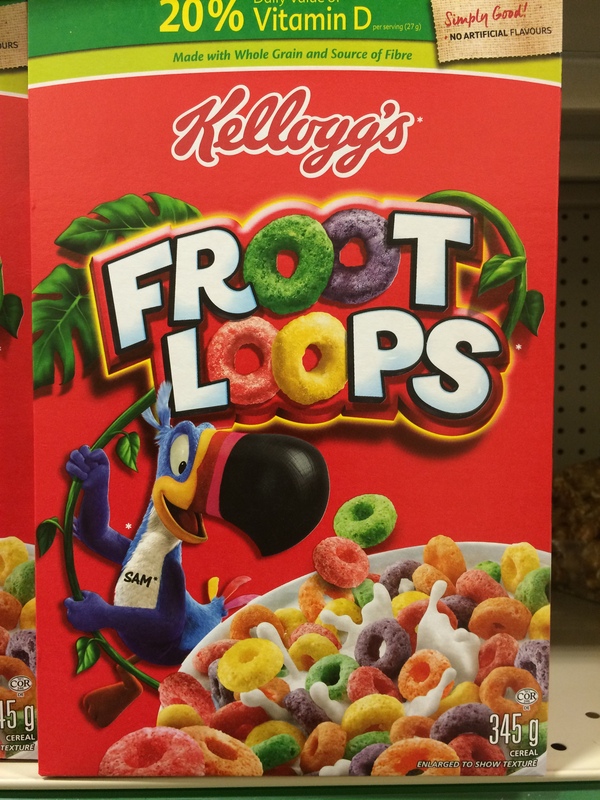 Kelloggs Froot Loops are just one of the poor examples of breakfast on the shelves these days. See the picture below for the ingredients. Colour. 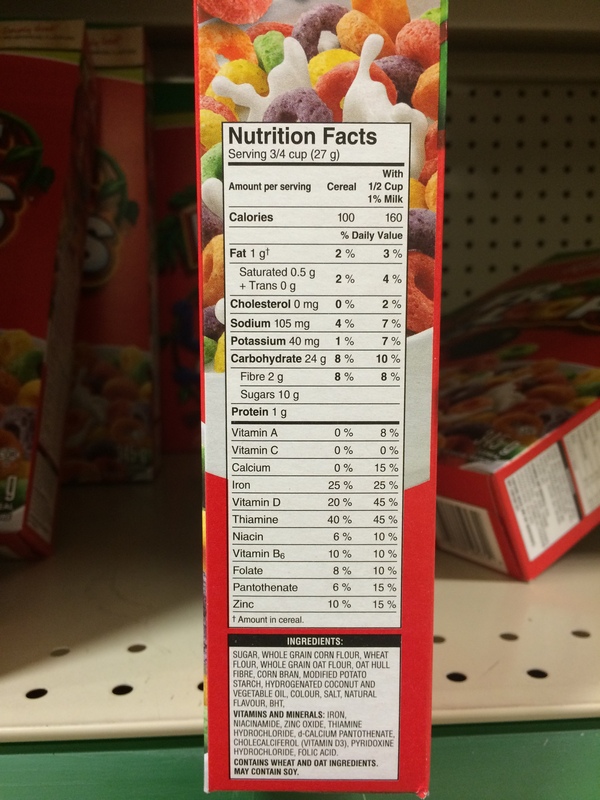 Currently in Canada, food manufacturers aren’t obligated to specify which particular colour or mix of colours are included in the ingredients. If you or your child are prone to hyperactivity, or have ADD/ADHD or other behavioural concerns, these should be avoided. Natural flavor. Natural means anything that exists or is caused by nature, and not humankind such as sawdust for example! BHT (Butylated hydrozytoluene ) is a common preservative that keeps foods from changing color, changing flavor or becoming rancid. Effects the neurological system of the brain, alters behavior and has potential to cause cancer. I am not saying never eat cereal again but be really careful about the choices you are making. Check out my video below to see what brands of cereal I recommend. < Previous A Sneak Peek In My Fridge!